In the Pay and Rai tomb's courtyard. Pay was the overseer of the Harim of Pharaoh Tutankhamun (18th Dynasty). 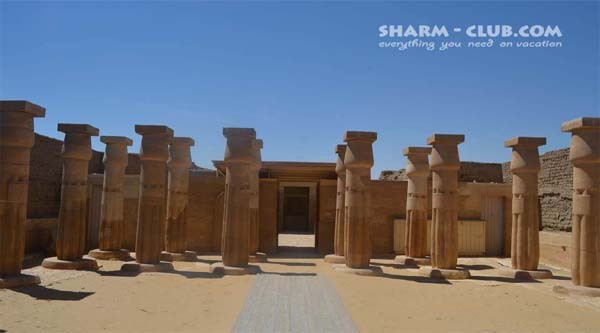 His tomb was built between 1333 and 1319 BC. It consists of a vestibule flanked by one chapel in the east, a peristyle courtyard and 3 chapels in the west. The vestibule and three corner chapels have paintings on mud-plaster. The central chapel and courtyard have preserved remains of relief decoration. Pay's son, Raia, started his career in the army and then succeeded his father as Overseer of the Harim. 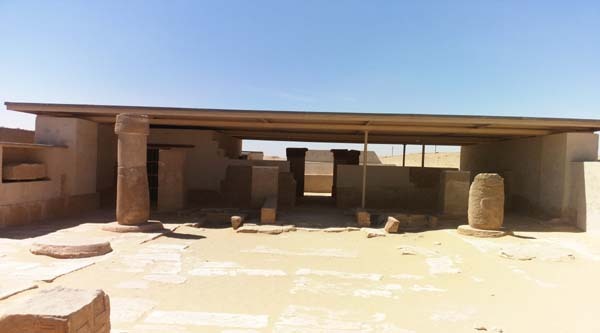 He built the forecourt to the tomb, extended its burial chambers and added various other elements. Raia's stone sarcophagus was found in subterranean complex. He seems to have dies around 1300 BC and was buried with his father, which is a quite rare phenomenon. 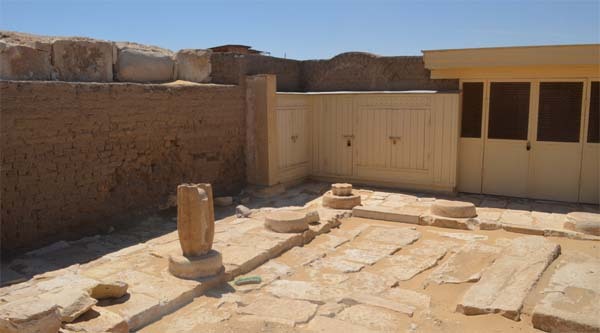 The tomb of Pay and Raia was excavated in 1994-1998 by a joint expedition of the Egypt Exploration Society in London and the National Museum of Antiquities in Leiden, under the auspices of the Supreme Council of Antiquities of Egypt. It had already been discovered around 1828, when various parts were taken to the Archaeological Museum in Florence and the Louvre in Paris. It was also seen in 1843 by the German Egyptologist Lepsius, who took two stelae of Raia to the Berlin Museum. 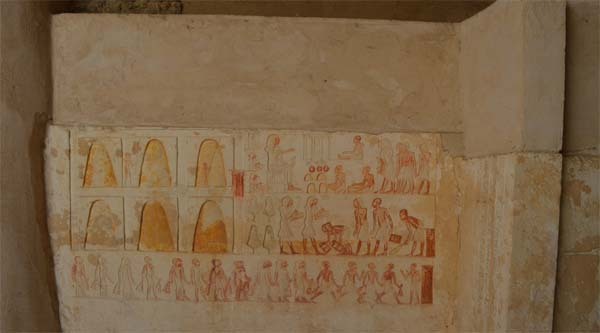 The tomb was restored in 2007 and opened to public in May 2011 together with other New Kingdom tombs.